With rising thefts, safeguarding home and office has become essential these days. Most of the residential homes and corporate offices are equipped with burglar alarm systems. Although they may largely vary in shapes and sizes, the function remains the same – to keep thieves away from the property. While experts believe that burglar alarms are highly effective, a few critics set forth a contradictory opinion stating that these systems are inaccurate and incapable of safeguarding one’s property. 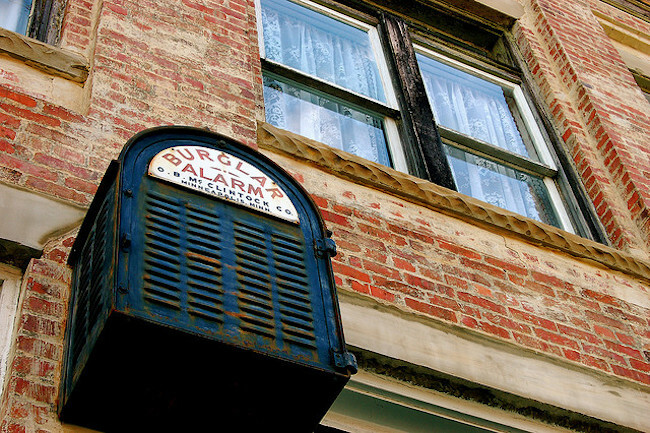 Like discussed earlier, some believe that a burglar alarm can do no good. However, studies carried out in the past state that the homes equipped with burglar alarms are less likely to be visited by intruders. In fact, some of the latest hi-tech alarms have an inbuilt feature that dials up the police as soon as it senses an intrusion. As a result, setting up a burglar alarm is, without a doubt, the wise thing to do. This is definitely not the case, as most of the burglar alarms are easy to install and in most cases do not require a professional to carry out the installation process. The alarms come with a ‘Do It Yourself’ guide that lets you carry out the process all by yourself. Interestingly, these alarm systems are wireless and therefore can be installed in a few minutes. Some corporate houses opt to choose a rental burglar alarm system. These systems are usually complicated ones that periodically require a sufficient amount of care and maintenance. Companies renting out these systems require you to pay a specific maintenance cost on a monthly or on an annual basis. However, that’s not true when opting for a residential alarm system. These are standard ones that require least amount of care but are still equally effective. Some believe that burglar alarms can be a nuisance to others living around due to the high decibel sound produced. No doubt, the burglar alarms are too loud, but that only benefits your neighbours who have no alarm installed. Imagine an intrusion is sensed on your property. When the alarm starts ringing, your neighbours will be alerted as well. So, in easy words, you turn out to be a saviour to many when you have a burglar alarm installed. ‘Burglar Alarms are only meant for posh apartments’. That’s a huge misconception. You may probably own a small or a mid-sized residential property which may not visually seem too appealing to many. But, that’s not making it a less of a target to the intruders. Remember, thieves usually find their prey in the least expected places. The ones listed above are just some of the myths you are most likely to come across when seeking public opinions on burglar alarms. The list just goes on. The best way to tackle these myths is to refute them all.